Alicia Vikander wears a chocolate brown belted mini-dress at a photocall for Tomb Raider at the Santo Mauro Hotel in Madrid, Spain on Wednesday February 28, 2018. 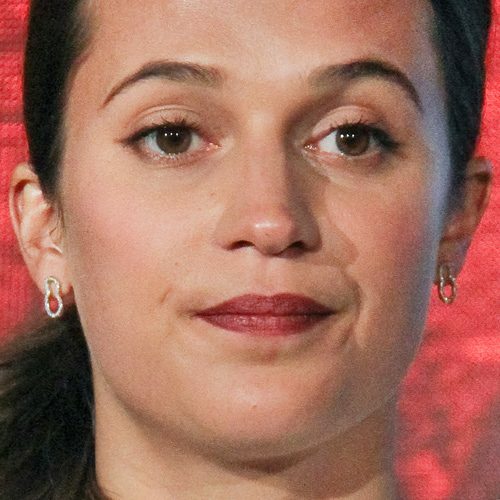 Alicia Vikander at the ‘Tomb Raider’ Press Conference held at Four Seasons Los Angeles at Beverly Hills in Los Angeles, California on Friday February 23, 2018. Alicia Vikander at the Volez, Voguez, Voyagez Louis Vuitton Exhibition Opening in New York City, New York on Thursday October 26, 2017.